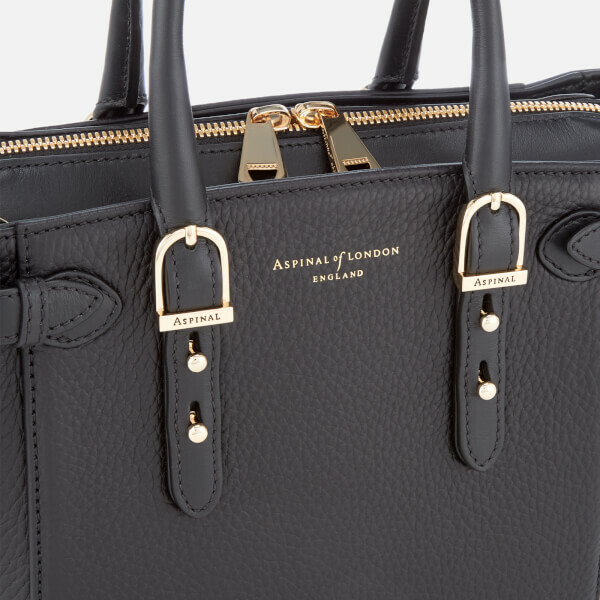 Mini leather tote bag from artisans in luxury design, Aspinal of London. 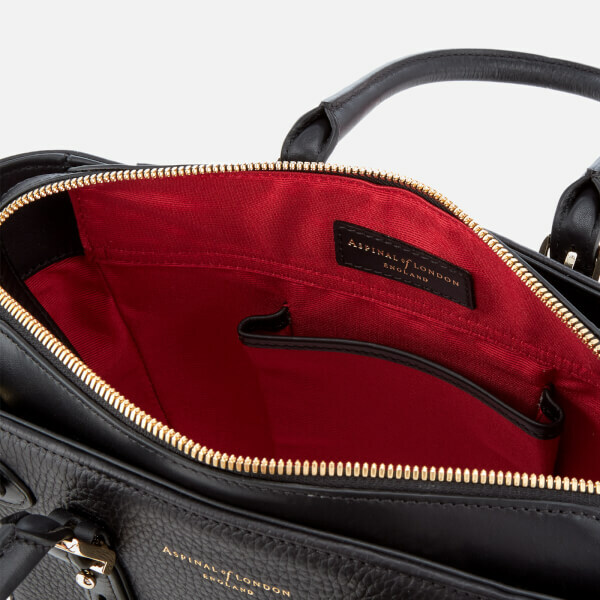 A smaller version of the iconic 'Marylebone' bag, the lightweight mini tote bag is handcrafted from the finest Italian black pebble textured calf leather with a shimmering red grosgrain lined interior. 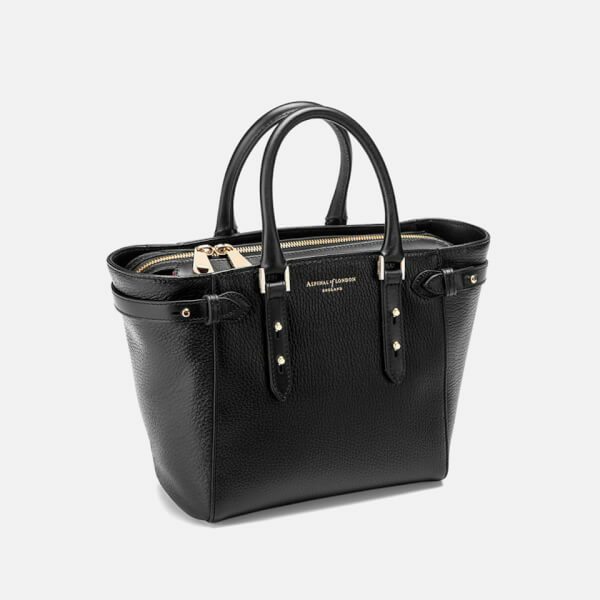 Sturdy rolled leather handles and an adjustable, detachable shoulder strap offer versatile carrying options. The main compartment with dual-zip fasten houses an open compartment to hold a Smartphone. 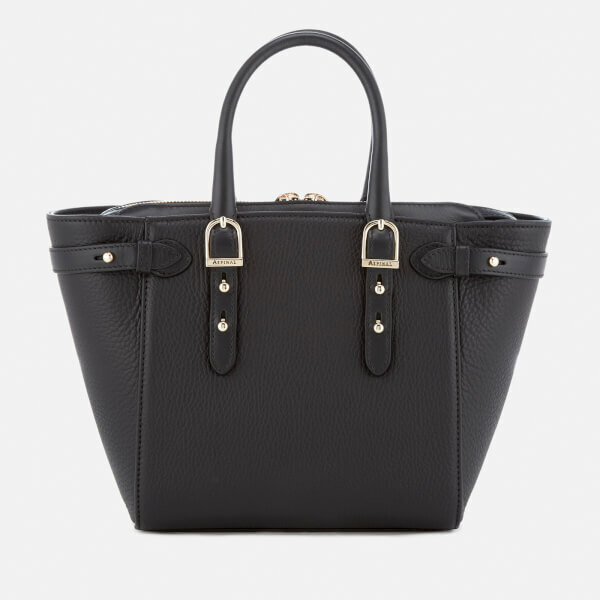 Signature brass hardware and an equestrian style strap with stud detailing enhance the design. Supplied in a protective Aspinal felt bag. Outer: Italian Calf Leather. Lining: Grosgrain. Hardware: Brass. Dimensions: H: 20cm x W: 32cm x D: 10cm. Handle Drop: 11cm. Detachable Shoulder Strap: 55cm (max). I bought this as a little treat for myself when I got my new job. Been a fan of Aspinal for a while but finally splashed out on one. 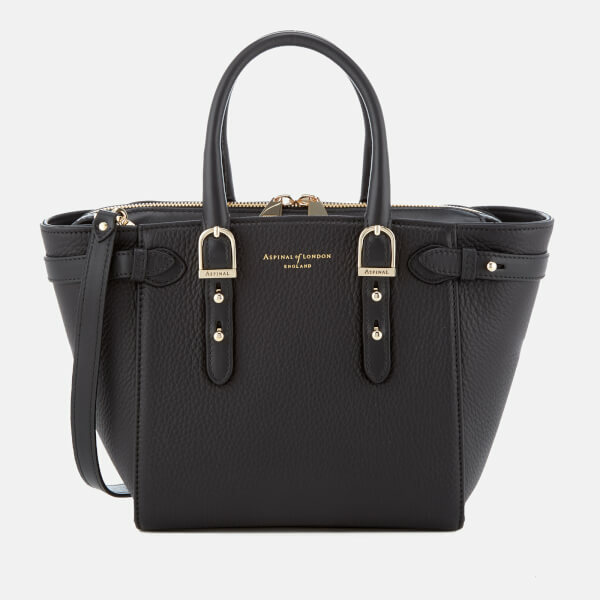 Such a nice bag but I am starting to think I should have got the next size up (I carry lots of rubbish in my bag!). Love the leather though and will definitely be using this for a long time!